Golden handshakes should be swapped for golden handcuffs to fix the north-east teacher crisis, a trainee teacher has suggested. Willie MacLeod from the Western Isles told MSPs on Holyrood’s education committee how he thought north-east councils should follow the model of his local authority. Mr MacLeod said he was being paid to complete training and had agreed to be locked into a three-year contract with the Western Isles Council at the end of his probation – commonly known as a golden handcuffs deal. North-east Conservative MSP Ross Thomson asked what could be done to fix the region’s teacher recruitment crisis. Mr MacLeod said teachers must be paid during training. He said: “The biggest barrier is the fact the people likely to be the stablest are those who have experienced the corporate world and want to settle down, but how can they lose a year’s salary? “You need to be paid during the training year. Western Isles Council is paying me and I’m guaranteed probation time. Mr Thomson asked why more teachers were not willing to relocate. Mr MacLeod said north-east councils must also recruit locally if they wanted teachers to stay in the area. 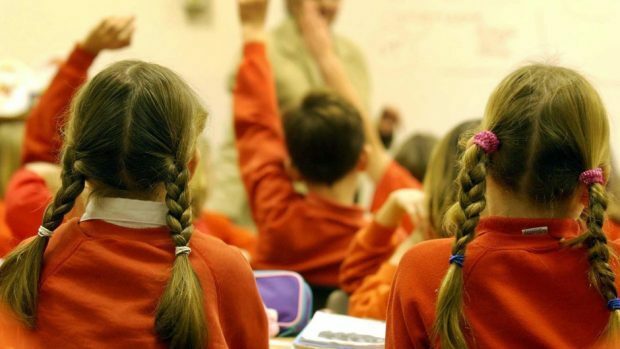 He said: “The way to go is the way the Western Isles Council has gone, where they look for potential teachers locally and pay them to go through that stage. “There are not the teachers out there so there is no point offering a couple of thousand pounds. Speaking outside the committee room, Mr MacLeod said he was already working for the council as a technician and was one of two to be taken on for teacher training and suggested Aberdeen should be doing the same with oil and gas workers. He said: “What’s the point trying to get people from other areas, who have already got friends and family where they live? “The Christie report is all about home-grown talent. “I think it shows a lack of commitment if you’re not looking within the local area as you don’t believe there is the talent, but Aberdeen is full of people who have science, technology, engineering and maths skills. “The big issue is money and they are going the wrong way about it if they are offering golden handshakes.